Used, but in perfect working order honda high pressure fuel pump! Will fit multiple vehicles! Make sure the part number matches yours before ordering! all parts are marked! 2005 Honda CRV 2.2 Diesel High Pressure Fuel Pump 0445010093. Good working order prior to removal. Would possibly fit other models with same engine. It's buyer's responsibility to make sure the listed part fits their car. Condition is Used. Dispatched with Royal Mail 2nd Class. If a part states shell, I.e. shell door. USED PART ALLOYS AND RIMs. Honda jazz 2002/2008 fuel pump blue print part no ADH22334 IN TANK with fuel tank cap removal tool. PART NUMBER: 17708-SKN-E01-M1. All our used parts are in good condition(unless stated otherwise) and are tested prior to dispatch. ITEM CONDITION. HONDA NSS 300 NEW FUEL PUMP (3107). Genuine Honda Parts Fuel Pump. Honda Fuel Pump. FUEL PUMP / SENDER UNIT,TO FIT 2001-2006 (MK7) CIVIC MODELS, WITH 1.4 & 1.6 PETROL ENGINES (D14Z6 / D16V1 ENGINE CODES). HONDA PART NUMBER: 17708-S5A-941. FOR SALE ! GENUINE USED HONDA "DENSO" PART WITH 6 MONTHS WARRANTY ! PART NO.S TO MATCH HONDA PART NO 17708-SWY-E01-M1 DENSO NUMBER 101961-2290 THIS PART WILL NOT FIT THE EARLIER HONDA CRV DIESELS 2005-2006 MK2 ! HONDA CR-V 2.2 I-DTEC HIGH PRESSURE PUMP 16790RL0-G51 0445010612 2007-2012 . Condition is Used. Dispatched with Royal Mail 1st Class. FOR YEARS: 2006 (2006). BACS Transfer. Barrington Auto Salvage have over 25 years experience. We provide a large range of quality used car parts for all major manufacturers. Cash on collection. Credit / Debit card. Honda CR-V SUV (2006 - 2010) MK3, 2.0 i-VTEC ES. ALL THESE PARTS ARE REMOVED FROM A RIGHT HAND DRIVE CAR. ANY COMPATIBILITY GIVEN SHOULD BE USED AS A VERY GOOD GUIDE 'ONLY.'. OTHER CONSIDERATIONS. Item Specifics:2012-2017 - MK9 - 1.6 DIESEL - FUEL PUMP - 4 PIN PLUG - PART NO 17708-TA9-E31-M - 101962-9371. CIVIC 2012 -2017 Mk9 1.6 Diesel. Part:Fuel Pump. This Fuel Pump was removed from a2016 car and has been fully inspected. Fuel Tank Sender and Pump Unit. Removed from a 2006 Honda CR-V 2.2 140Bhp - 5 Door Estate - Diesel - 6 Speed Manual - Engine Code N22A2. Sparkle Grey. CR-V 2007 To 2009. Manufacturer Group. Model Group. Taken From The Model: Honda HR-V 4WD Automatic CVT. 6 Petrol 2002. Fuel: PETROL Exp Date Make: HONDA Gears: 1. FULL VEHICLE DETAILS - REG.NUMBER: RJ02 FTO. Model: HR-V 4WD Manf Date Trim Type: 5 DOOR HATCHBACK Reg Date: 08-04-2002. REMOVED FROM A 2007 HONDA CIVIC 2.2 i-CTDi. For sale Honda S2000 fuel sender with fuel pump. Removed from 2007 Honda S2000. Fuel Tank Sender and Pump Unit. “Great Bridge Parts” has high reputation for both quality and service and believes itself to be the market leader in vehicle recycling in West Midlands. From the internal engine parts to the exterior car body parts and everything in between. WHAT YOU SEE IN THE PICTURES IS WHAT YOU WILL RECEIVE! FOR YEARS: 2007 (2007). Barrington Auto Salvage have over 25 years experience. We provide a large range of quality used car parts for all major manufacturers. BACS Transfer. Cash on collection. Credit / Debit card. Removed from a 2010 Honda CR-V 2.2 150Bhp - 5 Door Estate - Diesel - 6 Speed Manual - Engine Code N22B3. Manufacturer Colour. Part Colour. CR-V 2010 To 2012. Transmission Speed. Vehicle Colour. Transmission Type. IN-TANK FUEL PUMP & GAUGE SENDER UNIT,TO FIT 2006-2011 (MK8) CIVIC MODELS WITH 1.8 PETROL ENGINE (R18A2 ENGINE CODE). HONDA PART NUMBER: 17708-SMG-E02-M1. These include BT, PA, KW, IV, HS, AB, IM, ZE, GY, JE, DD, PH, KA, PO. HONDA CIVIC MK8 2.2 I-CTDI 2008 MANUAL 100K BREAKING. DIESEL INJECTOR IN GOOD WORKING CONDITION. Mk8 5 Door 1.8 Petrol 6 Speed. 1.8 Petrol - In good working order - Part Number 17708-SMG_E02-M1 - Compatibility Is A Guide Only. This part was removed from a Right Hand Drive Vehicle. Compatibility is a guide only. FROM A HONDA FR-V MPV (2004 - 2011) MK1. ALL THESE PARTS ARE REMOVED FROM A RIGHT HAND DRIVE CAR. ANY COMPATIBILITY GIVEN SHOULD BE USED AS A VERY GOOD GUIDE 'ONLY.'. OTHER CONSIDERATIONS. We will do our utmost to avoid this from happening. 2005 HONDA CIVIC Injector Pump (High Pressure). This item has been removed from a: 2005 HONDA CIVIC. Model: CIVIC. Factor Number: HFIP00049 INJECTION PUMP. Fuel type: Diesel. Part Type: Injector Pump (High Pressure). 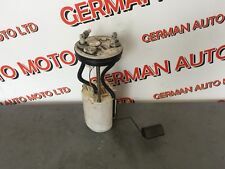 Honda Jazz Sport Mk2 2002-2008 1.4 FUEL TANK PETROL. Honda Jazz Sport Mk2. Wakefields Friendly Professional Vehicle Breakers. All gearboxes must be filled with new oil, to the correct level upon installation. Removed from a 2010 Honda Civic 2.0 198Bhp - 3 Door Hatchback - Petrol - 6 Speed Manual - Engine Code K20Z4. Fuel Tank Sender and Pump Unit. Civic 2006 To 2010. Manufacturer Colour. Part Colour. Vehicle Colour. Fuel filter, fits various Honda vehicles. 2012 HONDA CIVIC MK9 (FK37) I-DTEC EX 2.2 DIESEL Fuel Pump Electrical 0580203150 30 DAY WARRANTY FREE POSTAGE UK MAINLAND ONLY. 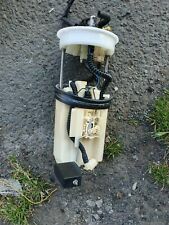 This sale is for honda crv mk2 02-06 2.0 petrol in tank fuel pump sender unit. This part was removed from a 2009 honda cr-v 2.2 (mk3) 4x4. model was made from 2007 to 2012. you can search for all parts currently available from this car by entering the reg wj59wle in the search bar. Honda civic 2007 CRV 2.2 Fuel pump Please note that this item is for COLLECTION ONLY. Part numbers we have for this fuel pump are. Oct 1991 to Nov 1995. HONDA - CIVIC MK 4 1.5 i 16V (EG4). HONDA - CIVIC MK 4 1.5 i 16V (EG8). HONDA - CRX DELSO 1.5 Litre. HONDA - CIVIC MK 4 1.6 16V Vtec (EG5). It has been removed from HONDA CIVIC MK8 2.2 DIESEL 2009. Part number: 0 445 010 093; 16790-RBD-E01. (Other Details: 2.2 Diesel 06-08. Diesel Pump. Bosch Make. P/N's 0445010093, CR/CP3S3/L70/20-789S, 16790-RBD-E01. Jersey, Guernsey, Scilly Isles) as well as for the Scottish Highlands.